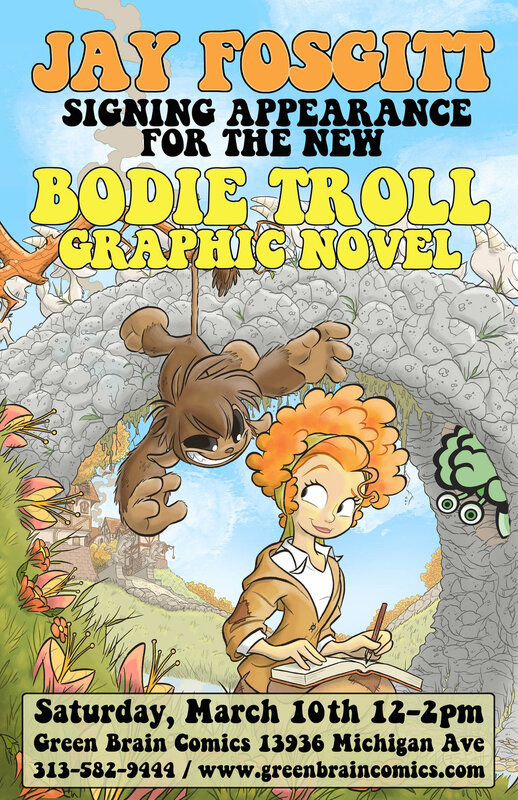 Meet Jay Fosgitt, (My Little Pony, Not Brand Echh) and check out his new graphic novel starring Bodie Troll. Jay will also be giving a demo on how to draw Bodie, his cute and cuddly grump of a troll. Jay will be joined by our own Shayauna Glover, who will be showcasing her artwork and prints.